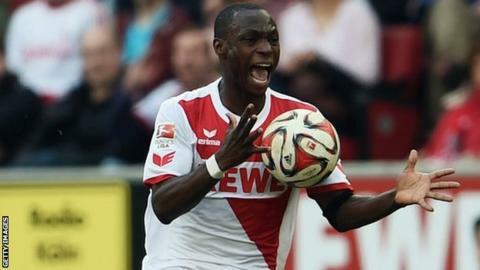 Nigeria striker Anthony Ujah will leave Cologne and join German Bundesliga rivals Werder Bremen next season. The 24-year-old has scored 10 goals for Cologne this campaign, helping to all but ensure they stay in the top flight. He initially joined on loan in 2012 from Mainz 05 before making the move permanent a year later. His explosive speed, scoring ability and wild celebrations - at times with the club's mascot which is a goat - made him a crowd favourite. Cologne were in the second tier when Ujah joined and he scored he 24 goals in 62 games in that division, helping them to win promotion in his second season.